The medieval settlement of Arad was first recorded in official documents in the early 11th century. Between 1551 and 1552, the city upon Mureș River was conquered by Ottoman troops. The Ottomans built a new fort which was destroyed by the Habsburg Army in the late 17th century. After the Treaty of Passarowitz in 1716, Banat became Habsburg land and German migrants were settled in New Arad. Most of them came from Franconia. Arad belonged to Austria vor 200 years and later went to Austria-Hungary until the Peace of Trianon in 1920. In 1715, Conventual Franciscan monks built Arad’s first school in which the language of instruction was German. In 1812, a teacher training school was established in Arad which was the first school to educate teachers for instruction in Romanian. In the 19th century, a variety of different cultural institutions emerged in Arad. 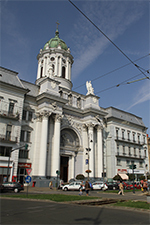 In 1817, Jakob Hirschl founded Arad Theatre. In 1890, the Arad Philharmonic Association was established which worked with famous musician such as Franz Liszt or Johann Strauß jr. In 1848/49, Arad was the site of fights between Hungarian revolutionary troops and the joint armies of Russia and Austria. The decisive battle took place on October 6th 1849, when 13 Hungarian generals surrendered to the Russian Tsars and Austria if their lives were spared. However, the Austrians did not keep that promise and executed the generals. 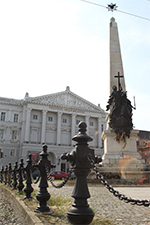 Since that time, Arad holds a special significance for Hungarian national identity as the “City of Martyrs of 1848”. This is, after the Austro-Hungarian Compromise and the Hungarian millennial celebrations, especially reflected in private and state investments in the public sphere of Arad. On April 10th 1913, the first electrical railway line of Eastern Europe was opened between Arad and Padgoria. After the global economic crisis between 1929 and 1933, many small workshops and factories had to close. 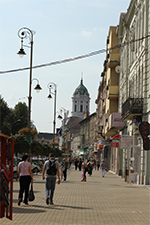 Nevertheless, the city developed into one of the strongest economic capitals of Romania only four years later. 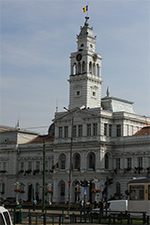 In late December 1989, Arad was the first city in Romania to follow the example of Timișoara and declare itself a city free of communism. Today, several hundred Germans still live in Arad. RIGHT: Catholic church in Arad.